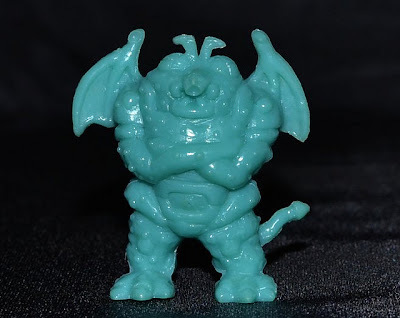 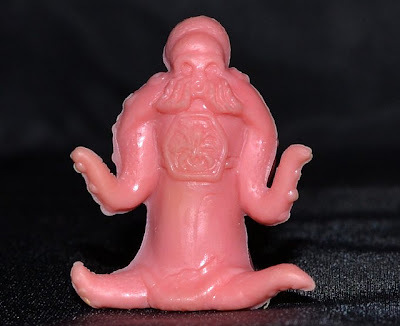 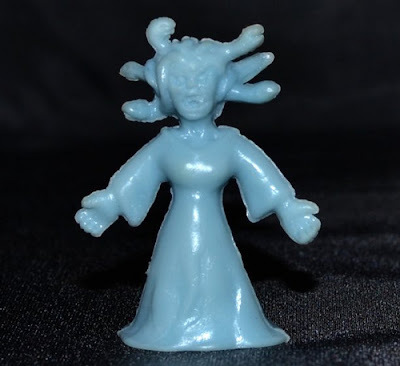 What: Necro's Fortress (Nekurosu No Yousai, also sometimes referred to as Neclo's Fortress) is a Japanese line of little rubber creatures that came with illustrated cards and could be used to play a Dungeons & Dragons-style game. 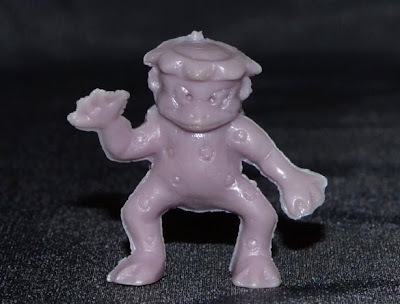 The line consisted of many sculpts, some based on well-known mythological creatures (Medusa, Chimera, Cerebus, etc) and others being original concepts (many of them very imaginative, such as a monster apple and a monster foot). 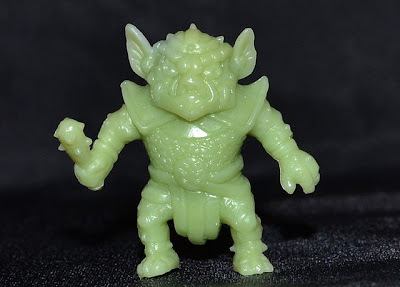 They came in a variety of colors, unpainted.This is a truly excellent and fun line of mini figures, but one that isn't easy to collect considering it was limited to Japan. You can check out the entire line of figures here and their corresponding cards here.